Mourners gathered to pay tribute to the late Akhumzi Jezile in a memorial service held yesterday. This happened at the Rhema Bible Church in Randburg.Worship songs filled the air as memories of Akhumzi were shared. Vusi Nova was among the musicians who sang a musical tribute. He even fought back tears when singing the song. He wore sunglasses to hide his face. It was however his voice that betrayed him. 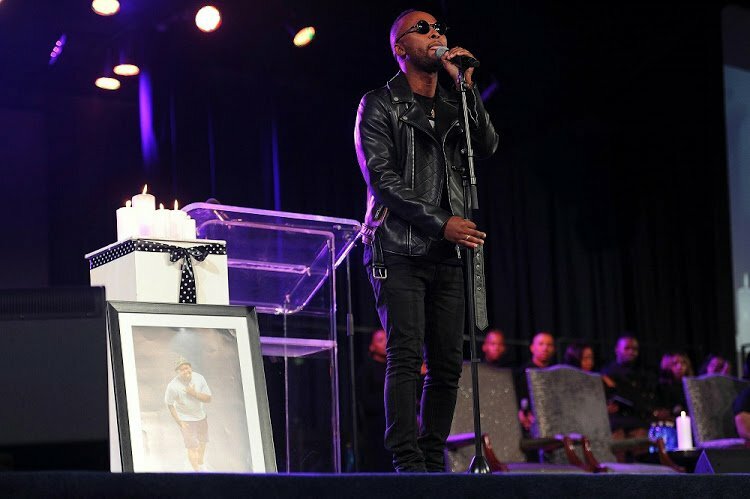 Watch: Vusi Nova sings in tribute of his friend Akhumzi.